Hussain Dawood is putting his eggs in the energy business where the Government is the largest buyer. Having suffered at the hands of governments previously, will his bet pay off this time? The Enven plant in Daharki, Sindh is gargantuan in more ways than one. At 125 metres (410 feet) in height, it is the second tallest structure in Pakistan. It is the largest single-train urea manufacturing facility in the world, and cost $1.1 billion to build: the single largest private sector investment in Pakistan ever. It is also quite possibly the single biggest strategic blunder Corporate Pakistan has ever made in terms of greenfield industrial investment, and its major shareholders know it. Its genesis lies in 2001, when the government of Pakistan, then led by President Pervez Musharraf, decided to follow through on a decades-old plan to increase Pakistan’s domestic fertiliser manufacturing capabilities by offering incentives to any manufacturer willing to set up a new plant. The biggest of those incentives was offering, through the state-owned natural gas distribution companies, 100 million cubic feet per day (mmcfd) of natural gas, the main raw material for urea, at a highly subsidised rate of $0.70 per million British thermal units (mmbtu), backed by the full faith and credit of the Government of Pakistan. The final auction to determine who would bid for the gas blocks was held in December 2006. By that time, Engro’s major rival, the military-owned Fauji Fertilizer Company, the largest fertiliser manufacturer in Pakistan, had already backed out of the project. Among the final four bidders, Engro was the only company that actually had a presence in manufacturing fertilisers in Pakistan. So it was no surprise that they won the auction. Engro got to work almost immediately on the plant and was able to get the plant up and ready for production in December 2010. It was at that point that it became painfully obvious that the Government of Pakistan had been making promises it had no intention to keep: the country was facing a massive shortage of natural gas and fertiliser was much further down the food chain of the government’s list of natural gas users, behind urban middle class household cooking and heating needs, power generation – both for the national grid and for the captive power plants owned by the larger textile companies – and the compressed natural gas (CNG) fuel suppliers who had allowed middle class Pakistanis to soften the blow of rising global oil prices with artificially cheap domestic gas for their cars. By comparison, cheaper fertiliser for poor farmers simply did not make the cut in terms of political priorities. For much of 2011 and 2012, Engro Fertilizers’ shiny new plant effectively limped along. At first, it was a nearly six-month delay in its commercial operations start date, which had to be moved to June 2011. In the first six months, the plant was only able to operate at approximately 50% of its capacity. For the entirety of 2012, however, Enven was only able to produce about 9% of its 1.3-million-ton capacity. Revenue rose in 2011 mostly due to price increases, and was actually down 2.3% in 2012. It is worth spending some time trying to place in context just how much debt Engro had taken on for the construction of Enven, a project financed almost entirely by debt. At the end of 2006, Engro had just over Rs3.7 billion in total long term debt. By the end of 2010, when construction of Enven was finally completed, that number had risen to Rs105 billion. The scale of borrowing from a non-government entity was completely unprecedented. 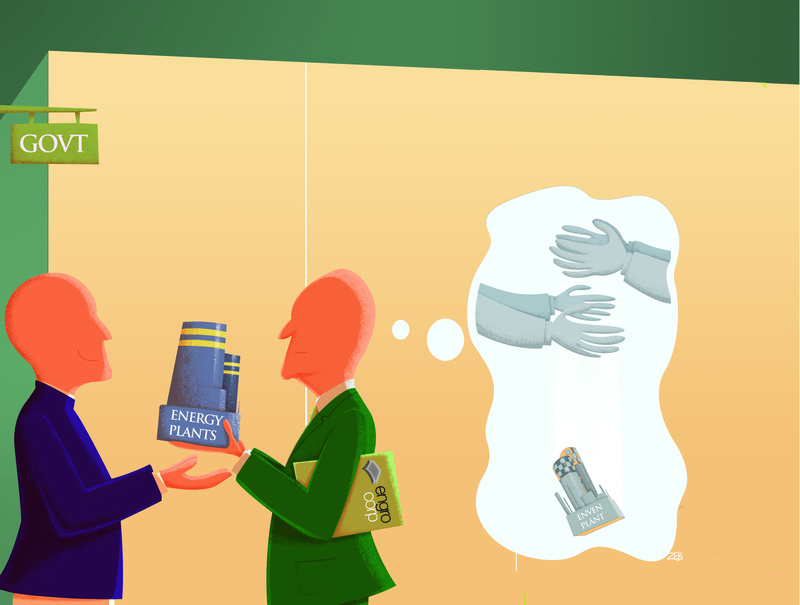 Rumour had it that Engro had effectively exhausted its counter-party limits with most banks, which is why it turned to borrowing from foreign investors and even issuing the first ever corporate bond directly marketed to retail investors. Needless to say, the experience was traumatising, both for Engro management and for its major shareholder, Dawood Hercules Corporation, owned by industrial magnate Hussain Dawood. During those two tough years – 2011 and 2012 – the company’s top leadership was spending upwards of 70% of its time trying to persuade the government to honour its sovereign guarantee for the supply of natural gas to the plant. Rohail Muhammad, then CFO of Engro Corporation effectively acknowledged to the strategic mistake in public. Naz Khan, the CFO of Engro Fertilizers, and now of Engro Corporation, even came up with an elaborate justification of why giving more of the country’s limited supply of natural gas to the fertiliser manufacturing sector would generate more economic value than supplying it to any of the other of the competing industries seeking that gas (the math involved essentially ignoring the economic value of a stable supply of electricity that would be possible by giving the gas to power generation companies). Much of that pain was alleviated when the centre-right Pakistan Muslim League Nawaz (PML-N) won the 2013 general elections and Prime Minister Nawaz Sharif made more of an effort to fulfil the government’s sovereign guarantees than his predecessors in the Pakistan Peoples Party-dominated government led by President Asif Ali Zardari, who seemed at best indifferent to Engro’s concerns. The higher gas supply that became available to Engro after the Nawaz Administration took office allowed the company to have a little more breathing room. By the end of 2015, the plant was operating at 86.5% of its capacity, and the company had been able to reduce its consolidated long term debt load down to Rs 59.6 billion, a 43% reduction in just five years. For a while, it looked as though Engro’s investment in Enven had been touch-and-go, but would ultimately be worth the massive risk the company took. 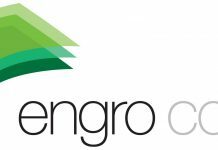 But on June 7, 2016, Engro announced that it was selling a 28% stake in Engro Fertilizers in a private placement transaction that raised $185 million. The announcement was not entirely surprising to analysts who have been following Engro and its major shareholder Hussain Dawood’s moves over the last few years. Engro Fertilizer is not the only fertiliser company Hussain Dawood has had a major stake in. He also owned a majority share in DH Fertilizers, a smaller manufacturer and a subsidiary of Dawood Hercules Corporation until June 2015, when it was sold off to the Fatima Group, another major player in the fertiliser space. That sale, combined with the partial divestiture of Engro Fertilizers certainly makes it look like Hussain Dawood wants to exit the fertilizer business. In an interview with the Managing Editor of this magazine , Dawood acknowledged the fact that fertilizer manufacturing is a difficult business to be in and that this difficulty was the primary motivator behind selling DH Fertilizers. But he denies that the Engro Fertilizers’ transaction was related. “The reason for the Engro Fertilizers transaction had little to do with a desire to exit the business or to scale down exposure to it and more to do with the positive desire to raise cash to expand both Engro and Dawood Hercules’ presence in the power generation sector.” he says. This assertion has been backed up by interviews with Engro executives over the last year and certainly has at least some evidence to back it up. As Kazim Alam pointed out in The Express Tribune, Engro is also selling a 51% stake in Engro Foods for $448 million to a Dutch food company FrieslandCampina in large part to raise cash to invest in the energy projects that are meant to be part of the China-Pakistan Economic Corridor (CPEC). Engro Foods has been growing at slow clip since 2013, but is widely regarded as the company with the most promise in the Engro portfolio. The reasons that apply to the sale of Engro Fertilizers most certainly do not apply to that of Engro Foods. But given the fact that Engro is reducing its stake in Engro Foods in addition to Engro Fertilizers suggests that there is more at play than the difficulties of manufacturing urea in Pakistan. As Engro President Khalid Siraj Subhani told Alam, the company wants to be able to invest in CPEC power projects with as little debt as possible. That statement suggests that at least part of the lesson that Dawood learnt from the Enven experience was that the debt taken on by Engro for Enven was a mistake. However, Dawood denies that this was the case. In fact he confirms that Engro and Dawood Hercules are running up against the counterparty limits for most banks and simply have relatively little room to borrow further from the domestic financial sector for their expansion. Not a single one of them think it was a big mistake to rely on a government promise for the reliability of the supply of such a large proportion of their cost of goods sold. Nobody thought that asking the government for such a massive incentive was a bad idea. Nobody thought that way because, for 40 years prior to Enven’s troubles, nobody had needed to. Both Engro and Fauji had been operating fertiliser manufacturing plants without a problem for nearly four decades, with a reliable supply of gas from state-owned gas companies. Yet, in hindsight, maybe they should have been able to see that relying on government favours for such a massive portion of the company’s income statement was a bad idea. Okay, that is probably unfair. They had no way of knowing. But what about now? Now they do know better. Now we know that the Government of Pakistan’s sovereign guarantees should be taken with a bucketful of salt. So why is Hussain Dawood selling Engro’s stakes in a promising food company (Engro Foods) and rushing headlong into the electricity business (China Power Hub Generation Company and Sindh Engro Coal Mining Company), where the sole buyer and rate-setter is the government? Having just sold off a stake in a fertiliser business where his cost of goods sold was dependent on the government, Dawood is now entering into a business where the government decides his revenue? Does that make strategic sense? Dawood himself has a simpler explanation: they are investing in energy production because that is where they see the greatest opportunity lies in Pakistan right now. 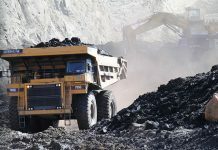 Dawood states that he is aware that coal is not, and cannot be, the long term solution to Pakistan’s energy problems, but in his view it is the only short- to medium-term fix. In addition, Engro Foods’ executives are candid about Engro’s struggle to grow its foods business. In past interviews, Engro Foods former CEO Afnan Ahsan acknowledged that the company had effectively reached the limits of its “me-too” product development strategy. 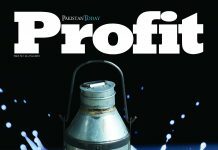 Samad also acknowledges that having a European dairy company come in and bring its expertise in the dairy sector to Engro would likely result in Engro Foods being able to move out of its slow-growth rut. The thought process behind the energy venture, meanwhile, is simple: yes, the Government of Pakistan does not always make good on its word, and yes, it nearly defaulted on the money it owed the Hub Power Company (in which Dawood Hercules and related entities now own close to 20%) in the late 1990s, but the government has ultimately tended to pay the power companies what it owes them because they have ironclad contracts. Here is the problem with contracts, though: they all have “force majeure” (unforeseeable circumstances) clauses and there is a circumstance that virtually the entire power industry in Pakistan is failing to foresee: the changing economics of the energy business, specifically the speed with which solar power is becoming affordable. In an earlier article in Profit, I argued that the largest, best-paying end-consumers of electricity in Pakistan – the upper middle class and industrial consumers (who account for more than half of all electricity consumed) – are likely to be making the shift to solar power over the next decade. A power project is expected to pay for itself typically over a 25- to 30-year period, meaning that for the latter two-thirds of their existence, these new power plants are likely to have to be selling to state-owned utility companies that have just lost most, if not all, of their best customers. How much is that government guarantee going to protect those power companies then? To this, Dawood also has a response. While he acknowledges that selling to the government is not as risk-free as investors once thought it was, he says that he is going ahead for two reasons: firstly, the government is by law the largest buyer in energy so it is impossible to be an energy producer without selling to the government. The second, somewhat more compelling reason, is that the downside risk is limited by the high returns being offered by the government, which shortens the payback period for investors. He estimates that for equity investors, the payback period has been reduced to approximately seven years. So what is Hussain Dawood’s feeling on the central lesson from the difficulties at Engro Fertilizers? He clearly feels that neither leverage nor trusting government guarantees was the central problem, exhibiting a willingness to take on both risks while setting the strategic direction for two of the largest industrial conglomerates in the country. Is that wise? I am certainly tempted to be skeptical. But I think the ultimately reasons for his motivations are even simpler than they appear. Dawood owns companies that have to allocate hundreds of millions of dollars in capital at a moment in time. He cannot afford to ignore the single biggest avenue for large-scale investment in Pakistan right now: coal-fired power generation. Whether that is ultimately the best use of capital is an open question, and one that only the next decade will truly resolve. Next articleHop, Hop and Away!